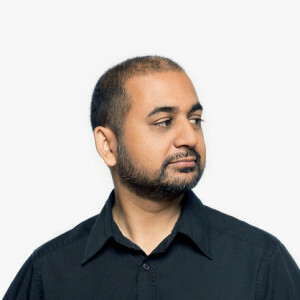 And we’re back… with Anil Dash, CEO of Fog Creek Software (maker of Fog Bugz and Glitch, and incubator for Trello and Stack Overflow). Served as an advisor to President Obama’s Office of Digital Strategy. He’s a big Twitter person (we got introduced by a mutual follower). Time magazine named him one of the best accounts on Twitter in 2013, and he’s the only person to ever be retweeted by Bill Gates and Prince. He helped start the social media revolution with Moveable Type in the early 2000s, and he’s been blogging since 1999. He’s had hardware, software, sales and and executive experience, and he’s a big believer in linking together domains that are often separate. He started his own company instead of going to college. How Anil got past his aversion to sales and reframed his perspective (this sounds familiar on this podcast, but I still love hearing everyone’s personal journey). How he didn’t learn to do marketing until much later, and what he did instead (and how he learned how important marketing really is). The importance of “non-zero-sum” incentives. Taking the concept of “bus-proofing”, so important in the technology world, to the sales world. A simple way to encourage more diversity in hiring, and why it’s good for your company. Why tech is lurching its way to becoming the new “Wall St”, wealthy, powerful, and detested. OK, there was no wine in this episode! Anil doesn’t drink wine. Or coffee. Plus, we recorded in the morning. Let me know if you think it’s missing.